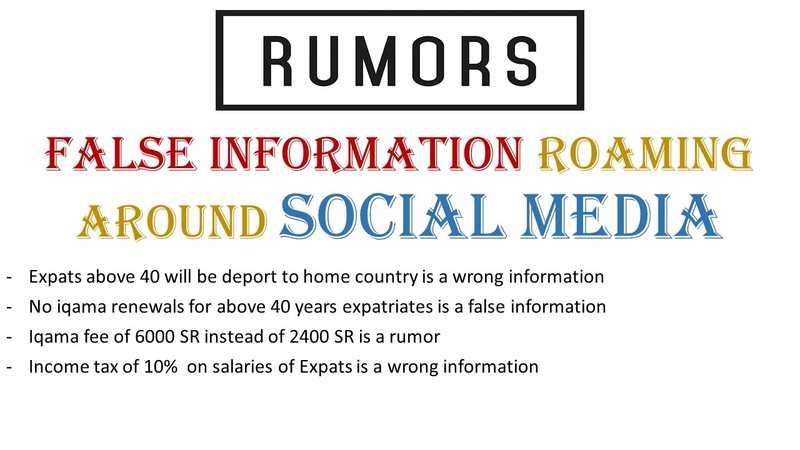 RUMOR "ABOVE 40 YEARS EXPATS WILL DEPORT TO HOME"
Our blog presents information only after verifying form authenticated news channels and only from those expats who experienced it in real. So you can trust our blog and the direct official sites of government, We publish only once we get confirmation. Keep updated yourself by visiting our blog "Saudi-Expatriates.com" or by following our Facebook page "Saudi Expatriates Blog".